The nine restaurants of Cambscuisine restaurant group have done a complete overhaul of their children’s menus to include at least two portions of vegetables in every meal and new vegetarian and vegan options. The restaurants serve an average of 28,000 kids’ meals a year so this will result in an additional 42,000-56,000 portions of vegetables a year being served in Cambridge restaurants. To gather some honest feedback on the changes the group offered KIDS EAT FREE at all the restaurants during February half term (18th – 24th February 2019) for children aged 12 or under when accompanied by an adult ordering a main meal. The feedback was overwhelmingly positive with parents and children loving the veg pots as they provide something fresh and crunchy to snack on and something to keep the children occupied when the parents are ordering their own food. A few parents commented on how pleased they were to have veg which wasn’t overcooked, and to have a fruit option prepared fresh to order. The restaurant group is also engaging their chefs in the campaign with a view to become a more sustainable business. In February 2019, the group held a chef competition to find the best plant-based main course and desert. 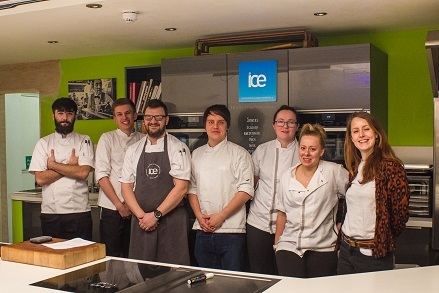 The competition took place at Infusions ICE Kitchen in Bury St Edmund’s with judges Lee Cooper (Infusions), George Allan (CDC Events) and Gemma Birley (Cambridge Sustainable Food). George Dawkins & Reece Alderson (The Tickell Arms) wowed the judges with their ‘Vegan Chocolate Mousse with Cherry Textures’. Runners up, Gemma Steele and Holly Silk (The Crown & Punchbowl), also impressed the judges with their ‘Sweet Potato Gnocchi’ main course. Both dishes will be featured on their restaurant’s spring menus.